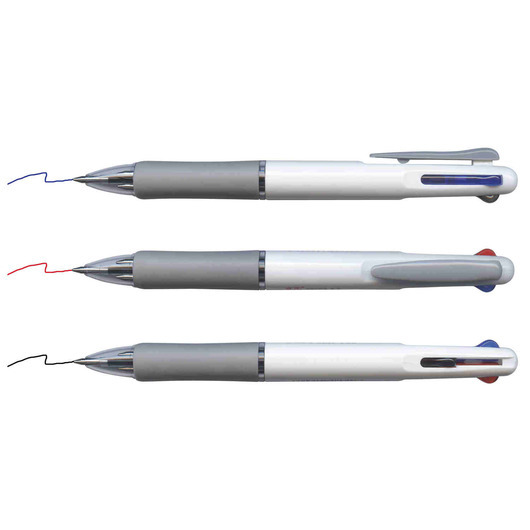 A multi-coloured pen with soft rubber grip. 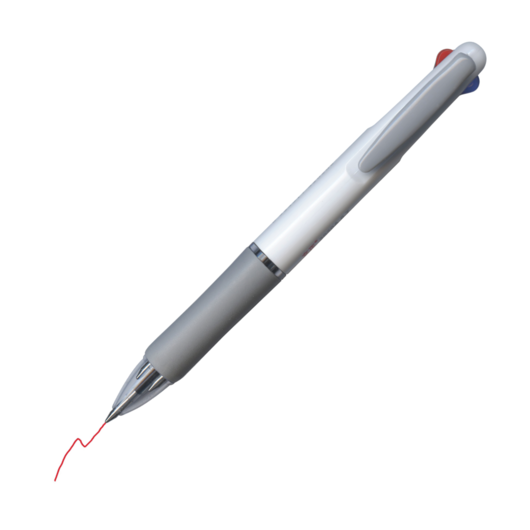 Get 3 color options in a single unit with this multi pen. You can have blue, red, or black ink (1200m of each) by pressing the desired button. It also features a soft rubber grip for added comfort.